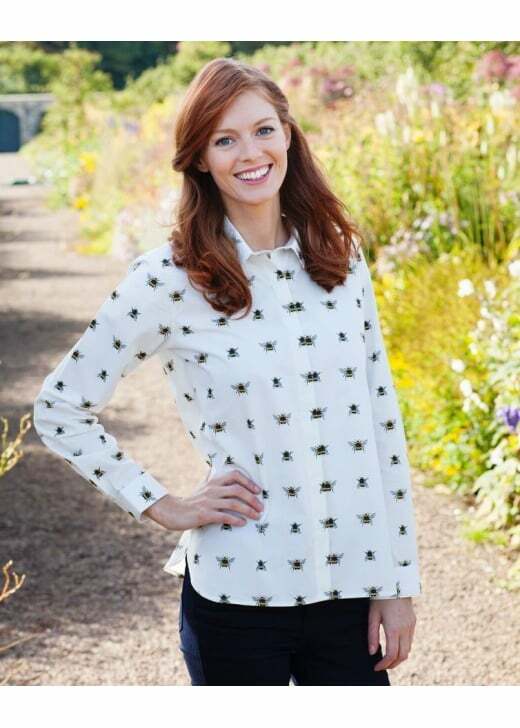 The Gibson and Birkbeck Bumble Bee Print Shirt is a semi-fitted boyfriend style shirt perfect for any occasion. The Gibson and Birkbeck Bumble Bee Print Shirt is a semi-fitted boyfriend style shirt perfect for any occasion. A fun and innovative design and understated femininity mean this shirt looks fabulous paired with denim jeans both for Saturday night and Sunday morning looks. Showing our 2 Gibson and Birkbeck Bumble Bee Print Shirt reviews with an average rating of Excellent. This brand is excellent. The shirts look classy, the fit is flattering and launder beautifully. I feel very good when I wear these and am asked regularly the make and receive comments about the prints which I love. Try one! Beautiful quality cotton, tailored fit and I just love all the print. I get comments and compliments everywhere when I wear a G & B shirt!